Dragon Medical Upgrade. If it isn't broke, why fix it? Is it time to consider upgrading to Dragon Medical Practice Edition 2? Dragon Medical Upgrade Promotional: Should you take the $50 savings? Every upgrade cycle we have a few Dragon users who discover that they are no longer eligible for Dragon upgrade pricing. I hate to be the bearer of bad news. So when the manufacturer offers promotional pricing on the upgrades, I take the opportunity to remind Dragon users of their upgrade options and strategies. Personally I am generally not in favor of upgrading software unless the upgrade provides a clear advantage which outweighs the cost. However, I also try to help my clients avoid any unintended consequences associated with not upgrading. Upgrading the Dragon software provides compatibility with newer operating systems, fixes software problems, provides better performance, accuracy and many additional features, but if it isn’t broken, why fix it!? Right? There are 2 groups of Dragon Medical users who should strongly consider upgrading now to take advantage of the $50 savings on the Nuance’s promotional upgrade pricing available until the end of June. 1. Any Dragon Medical 10 users who want to save about $1,000 on the next upgrade of their Dragon Medical software. 2. Any Dragon Medical Practice Edition (DMPE) users who may be upgrading to a Windows 8 computer in the near future. Many Dragon Medical users are not aware (or may have forgotten) that the Dragon NaturallySpeaking Medical products are eligible for upgrade pricing for only the next two versions. Dragon Medical software which is more than 2 versions behind the current version is no longer eligible for upgrade pricing and the license will need to be “re-purchased” in order to upgrade. This is a surprise that tends to occur at very inconvenient times. The most common recent scenario is the purchase of a new computer. I received a call from a client who was excited about how great his new computer looked and worked. When he had tried to install his Dragon Medical software, he discovered that his Dragon Medical 9 software would not install on Windows 8. No problem he thought, I’ll just upgrade the software. He called to upgrade and during the discussion discovered that his Dragon Medical 9 was too old to be eligible for upgrade pricing and that he would need to re-purchase the software for a lot more than he was planning on. ArrrGGGGHHH!!! You know the feeling. 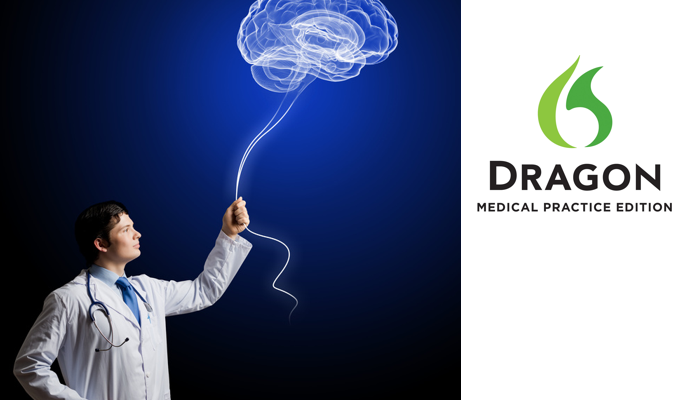 What are the current versions of Dragon Medical? Dragon Medical Practice Edition 2 (DMPE 2) is the current version of the Dragon Medical software for small practices and clinics (under 25 doctors) and uses the Dragon NaturallySpeaking version 12 engine. Dragon Medical Practice Edition (DMPE) uses the Dragon NaturallySpeaking version 11 engine. If you currently have DMPE there is no need to upgrade to DMPE 2 other than to take advantage of the new features. Users with Dragon NaturallySpeaking Medical 10 editions are nearing the end of the upgrade pricing window. While I have no inside information on the release of the next Dragon Medical version, the folks who think that their crystal ball is working well feel that this release will probably happen in the next 6-12 months or perhaps earlier … or later. The point is that if you have Dragon Medical 10 there is no immediate need to upgrade right now, but you will need to upgrade prior to the release of the next Dragon Medical version. Once the next Dragon Medical version has been released, upgrade pricing will no longer be available for Dragon Medical 10 and the newer software will need to be “re-purchased” in order to upgrade. What about Nuance Dragon Medical Maintenance? Dragon Medical Maintenance provides all Dragon Medical upgrades and updates at no additional cost during the Maintenance Contract Period. Dragon Medical Maintenance provides a predictable annual cost for Dragon Medical upgrades and generally provides an overall cost savings for those who choose to keep their software up to date with each version release. For those who choose to upgrade every other version and depending on the time between version releases, it may be less expensive to purchase upgrades instead renewing the annual maintenance contracts. The Dragon Medical Maintenance can be added to the purchase of a new license or to the purchase of an upgrade. Please contact me if you have any questions or concerns regarding Dragon Medical software or upgrades and I will be happy to assist you.